Bledar Iljazi came to the United States as a child in 1986 when his family decided they could no longer live under the government of the Socialist Republic of Macedonia. They came to Connecticut, earned their citizenship, built a construction business, opened several restaurants and worked 80 hour weeks to make a life in their new homeland. Now the entire family – twelve members across three generations – is fleeing Connecticut and pursuing a better life in South Carolina. “The way everything was ten years ago – the economy and taxes – it wasn’t as bad, but right now for small businesses we’re getting hit with taxes left and right. They’re pretty much just making them up,” Bledar said. 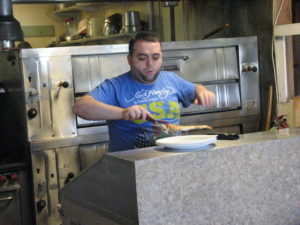 The Iljazi brothers grew up in Watertown and, following in the footsteps of their father who built a local construction business, started their restaurant businesses. Bledar and Prentim both have full-time jobs besides managing the restaurant, while Flamur handles the day to day business. Bledar works as a full-time technician at Waterbury Hospital while Prentim is a manager at a hotel. Bledar said that years of this lifestyle left little room for him and his family to actually enjoy their lives. “I would do all this and still see nothing,” he said. Connecticut has been experiencing a population loss for several years. With the loss of people comes a loss of money for the economy, which in turn reduces tax revenue. According to a study on the state’s economic competitiveness, the largest population losses are coming from people with higher incomes and higher levels of education. Millennials like Iljazi make up one of the largest age segments that were fleeing Connecticut. Following two of the largest tax hikes in state history, tax revenues fell below expectations leaving large deficits. Lawmakers scrambled to put together a budget and state workers are being laid off. Lawmakers have given mixed signals to the business community about how willing they are to change direction. During the legislative session, a bill to raise the minimum wage was defeated and a bill that would tax employers one dollar for every hour an employee worked for less that $15 was also shelved. However, a bill that would establish automatic enrollment in a state-operated retirement fund for employees has made its way to Malloy’s desk. The measure has been opposed by business and financial industry groups. Malloy has highlighted a “new economic reality” in talking about the budget. The long term migration trends do not bode well for Connecticut. In addition to competing with its neighbors, Connecticut must also compete with southern states that have been drawing people away with lower tax burdens and better job opportunities. 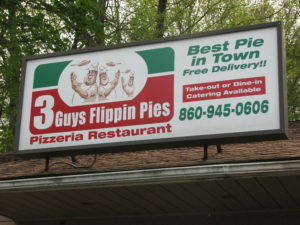 Or maybe like pizza pies.